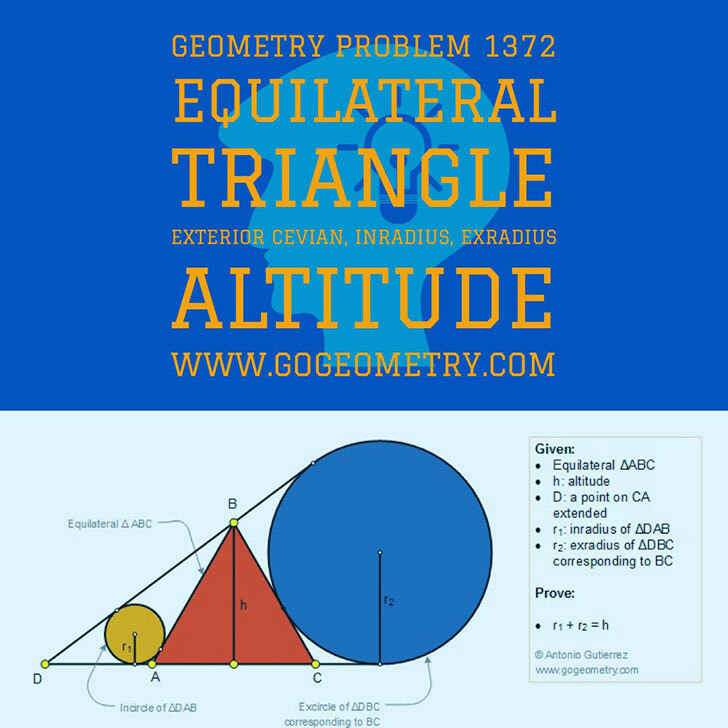 Geometry Problem 1372: Equilateral Triangle, Exterior Cevian, Inradius, Exradius, Altitude, Sketch, iPad Apps. In the figure below, ABC is an equilateral triangle with altitude h. D is a point on CA extended, r1 is the inradius of the triangle DAB and r2 is the exradius of the triangle DBC corresponding to BC. Prove that r1 + r2 = h.